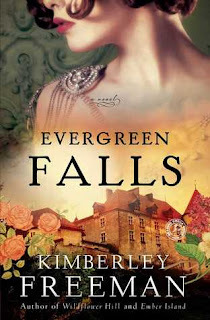 I discovered Kimberly Freeman on my search for Australian authors. 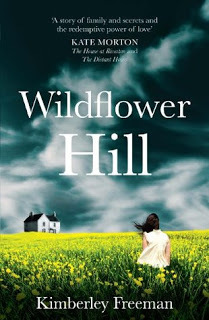 Previously I have read her book Wildflower Hill in the audio format. The reader did a great job with that book and I was hoping that more of her works would be available in that format, sadly that is the only one. I took the plunge with Evergreen Falls hoping it would yield the same results. 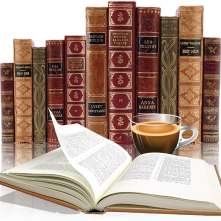 I love books that have dual time periods, the ones that have a common denominator connecting the two time periods. With Evergreen Falls the connecting thread is the grand Evergreen Spa Hotel. Beginning in 1926, with a prologue that sucked me right in, to present day, as this once magnificent hotel is being returned to its former glory days. Usually with these type of books I find myself favoring one storyline over the other, but with Evergreen Falls I found myself immersed in both of them though more time seems to be focussed on the past. While there was some predictability to this book it did not take away from my enjoyment as I found the authors writing style kept me reading. This was atmospheric in that I could get a real sense of this hotel, those it caters to and the staff, feeling the hostility, prejudice and natural elements that all played a strong role here. I enjoyed watching the transformation of both Violet and Lauren, both growing up with overbearing parents, confused about their place in the world. They make mistakes and are forced to deal with what life throws at them, both realistic and believable. Kimberly Freeman is definitely an author I will continue to read and recommend. My copy of this book is from my personal library and part of my '2017 read from my TPR pile' challenge.